In the United States, heart disease kills more people than any other cause. But here’s some good news: There’s a lot that you can do to lower your risk of heart disease. In fact, seven of 10 risk factors for heart disease are things you can control. While you can’t control your age, genetics and gender (men are at higher risk), you can significantly lessen your probability of heart disease by not smoking, being physically active, eating a healthy diet, maintaining a healthy body weight, and controlling cholesterol, blood pressure and blood sugar (the last four risk factors are closely tied to what you put in your mouth). 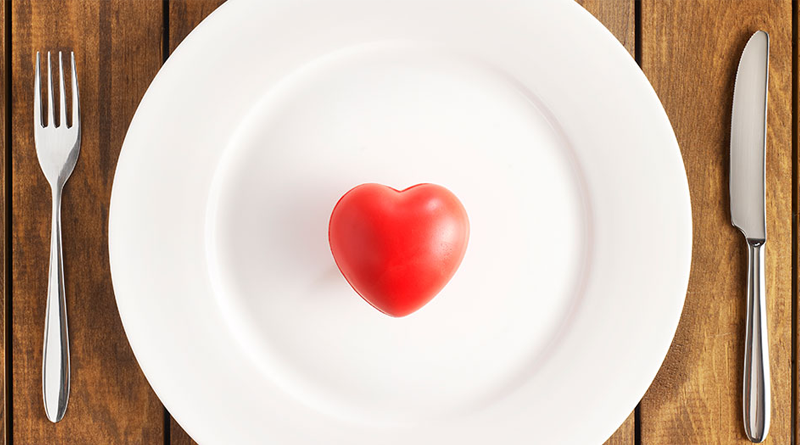 By rarely consuming seven of the most damaging foods for your heart, you’ll significantly lower your risk. Keep in mind, however, that just because certain foods are bad for your heart, it doesn’t mean that you can never eat them. If you eat an antioxidant-rich, anti-inflammatory, heart-healthy diet with health-promoting foods (like fruits, vegetables, pulses, lean poultry, fish and whole grains), occasionally eating a food that isn’t good for your heart won’t increase your risk of heart disease. As with all foods, the dose makes the poison. Would you gain weight from eating one small piece of chocolate every day? Not likely. What if you ate a whole bag of candy every day? Probably. The same is true for the worst foods for your heart—the role they play in your overall health depends on the overall quality of your diet. Deep frying creates trans-fats, a type of fat known to raise the bad (LDL) type of cholesterol in the body, while simultaneously lowering the good kind. This means that all-time American favorites like French fries and fried chicken are a double-whammy for your ticker. Not surprisingly, fried foods have been linked to an increased risk of heart disease in a number of studies. Deep-fried foods often contain saturated fats and are high in salt, as well, which can also increase one’s risk of heart disease. Instead: If you want to make a heart-healthy version of French fries, spritz them with a healthy oil, like olive or avocado oil, and then bake them. Here are some recipes to check out: Skinny Avocado Fries, Roasted Tarragon Sweet Potato Fries and Carrot Fries. And instead of frying your chicken, beef or tofu, dip them in egg whites, use a shake-and-bake bag and toss them in the oven to bake. For stir-fries, use a small amount of avocado oil, olive oil or canola oil and keep the heat on low. It’s no secret that fast food is rarely healthy food and, in fact, can have a negative impact on the heart. That’s because the majority of fast food items are fried, high in salt (which can contribute to high blood pressure, a risk factor for a heart attack) and high in sugar and calories (which can lead to obesity and diabetes and increase the risk of a heart attack), all of which put a strain on the heart. Instead: At the beginning of each week, plan your meals in advance, focusing on lean proteins, pulses, fruits, vegetables, whole grains, eggs and low-fat dairy products. If you’ve planned and know what you’re going to eat in advance, it’s much easier to avoid making quick, last-minute fast-food pit stops when hunger strikes. When you do go to fast-food restaurants, choose healthier options whenever possible, such as grilled chicken breast sandwiches, salads, and bean and salsa wraps. Once believed to be better for your heart than butter because it’s made from plant oils, margarine has since proven to be the true villain when it comes to heart disease. That’s because trans fat is created when the plant oil is processed and made into a solid. Trans fats are associated with a 34% increase in death, a 28% risk in death from coronary heart disease and a 21% increase in risk of cardiovascular disease. Instead: To avoid trans fat, choose a soft spread that doesn’t contain the word “hydrogenated” or “partially hydrogenated” on the ingredient list. Processed meats include foods such as bacon, sausage, pepperoni, salami, cold cuts and cured meats. Harvard researchers found that those who eat processed meats daily (50 grams—that’s less than 2 ounces!) have a 42% higher risk of heart attacks. Researchers speculate that it may have to do with the extremely high levels of sodium and preservatives found in processed meats. Instead: Limit processed meats to once a week, as researchers speculate this would pose only a small risk. Choose beans, eggs, fresh fish, poultry and lean red meat as an alternative. Found in most packaged foods, chips, canned products and condiments, and added at the table and during cooking, salt intake has climbed in most people’s diets to a whopping 4,000 mg a day. This is significantly more than the recommended 2,300mg maximum, according to a study published in The New England Journal of Medicine, which combined data from more than 100 studies. The researchers concluded that there would be 1.65 million fewer deaths each year if average sodium intake was closer to 2,000 mg per day, and reducing sodium intake to 2,300mg daily would prevent 10% of deaths related to cardiovascular disease. Instead: Use flavor-enhancing techniques to replace salt when you can—sprinkle spices, squeeze lemon and use flavorful vinegars. Limit packaged foods to once or twice a week, and read labels to determine the sodium content of foods so you can either limit them or choose no-salt-added or low-salt alternatives. Sugar-sweetened beverages contribute more added sugar to the typical American diet than any other source. Sugary drinks are particularly harmful because they have a high glycemic load, contribute to inflammation, and raise blood glucose levels, blood triglycerides and small, dense LDL particles (which are much more dangerous than light, fluffy LDL particles), all of which increase the risk of heart disease. A large, two-decade-long study involving 40,000 men found that those who had one sugary drink per day increased their risk of having a heart attack or dying of a heart attack by 20% compared to men who rarely drank sugary beverages. Instead: Choose water, seltzer or unsweetened beverages. If you have a hard time drinking unflavored water, get creative and spritz lemon, orange or lime into your water, or try these water infusions: Watermelon Cucumber ACV Detox Water Infusion, Vitamin C Infused Water and Pineapple, Lemon Ginger Detox Drink. Pies, cakes, cookies, donuts and other baked goods can be especially bad for the heart because they contain both saturated fat (found in butter and other full-fat dairy products) and trans fat (found in partially hydrogenated oils used in vegetable shortening, margarine, packaged snacks, coffee creamers and fried foods). They can also raise LDL cholesterol levels, while also lowering HDL (the good) cholesterol levels. These treats also are high in sugar, which intensifies the damage they can do to the heart. Instead: Choose healthier dessert options that don’t contain trans fat (make sure ingredient lists don’t contain the words “hydrogenated” and “partially hydrogenated” and are very low in saturated fat. Here are some tasty treats to try at home: Chocolate Drizzled Granola Balls, Cinnamon Oatmeal Raisin Cookies, Guac-Chocolate Mousse and Skinny Chocolate Chunk Cookies. September 20, 2017 – Tammy Lakatos Shames and Elysse (“Lyssie”) Lakatos, The Nutrition Twins®, share a passion to teach people how to eat healthfully and exercise so they’ll have energy to live happy lives. The twins have been featured as nutrition experts on Good Morning America, Discovery Health, Fox News, NBC, Bravo, CBS, The Learning Channel, FitTV, Oxygen Network, and Fox & Friends. They co-wrote The Nutrition Twins Veggie Cure: Expert Advice and Tantalizing Recipes for Health, Energy and Beauty, The Secret to Skinny: How Salt Makes You Fat and the 4-Week Plan to Drop A Size & Get Healthier with Simple Low Sodium Swaps. The twins are both ACE Certified Personal Trainers, and members of the American Dietetic Association and several Dietetic Practice Groups.